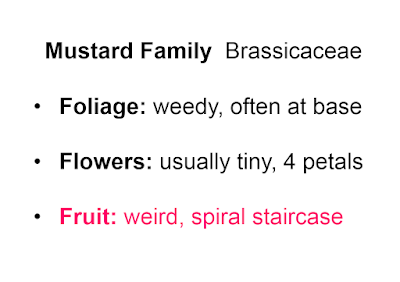 If you haven't run screaming from your device, you'll be thrilled to learn about the Mustard family. 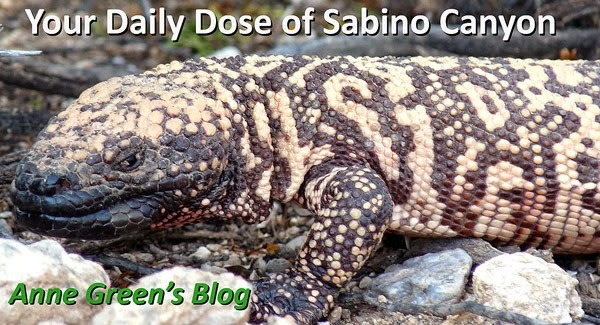 Loads of mustard-family plants in Sabino, and soon you'll be able to pick them out! 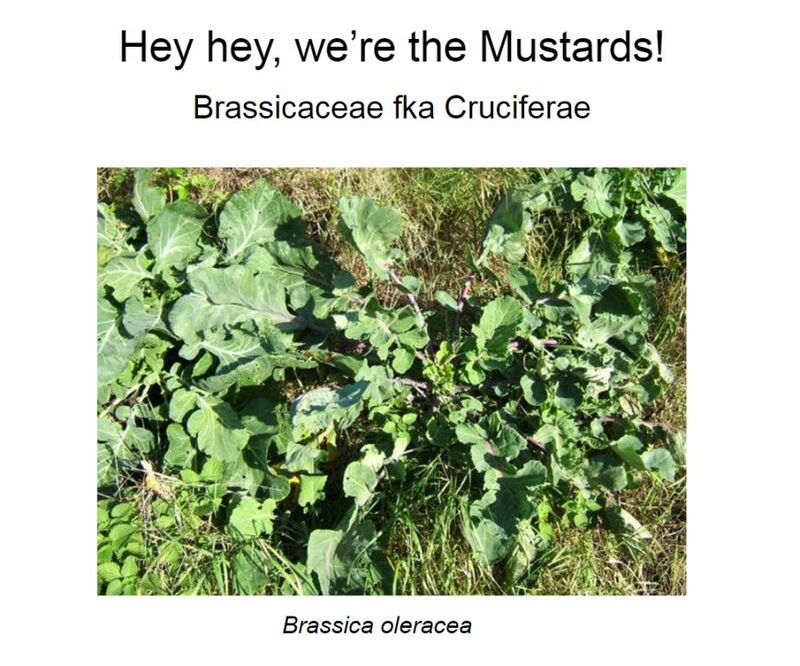 The Mustard family is now called Brassicaceae, used to be Cruciferae. 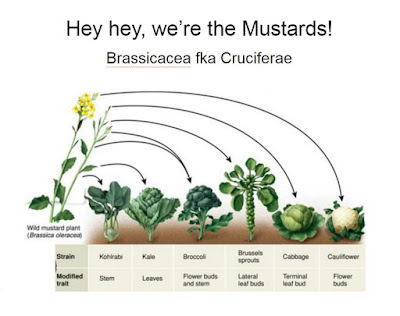 You may recall hearing/reading that you should eat more cruciferous vegetables. You still should, regardless of the name change. 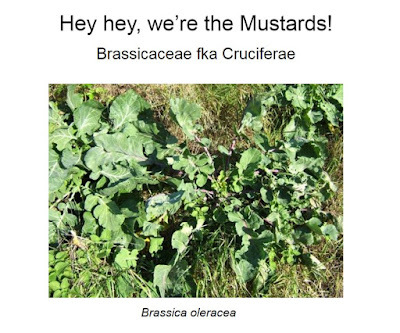 The photo above is of the 'original' or 'wild' mustard, from which our many delicious mustard-family plants were modified. Genes can only be modified so far, of course. You won't get a mustard to grow, say, a human leg. 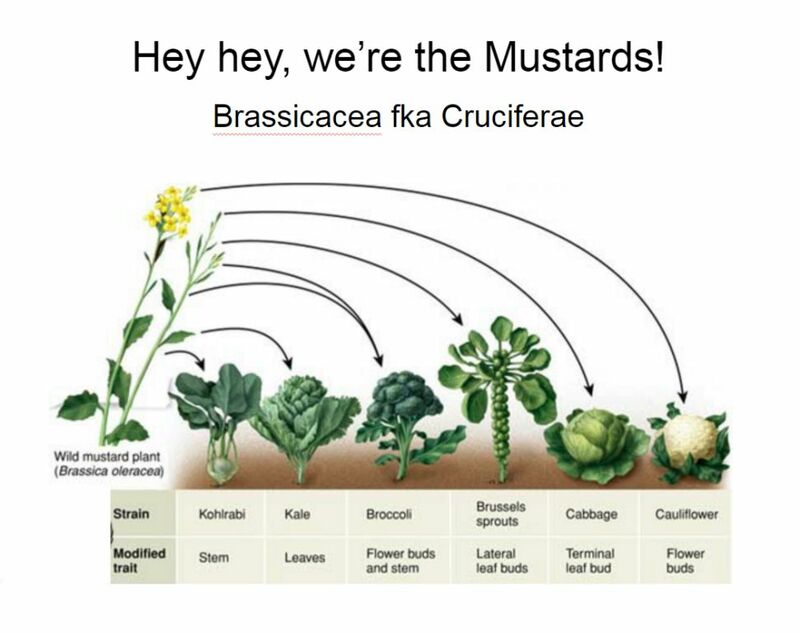 But kohlrabi, kale, broccoli, brussels sprouts, cabbage, and cauliflower - all these come from modifications of the same mustard. Yum. 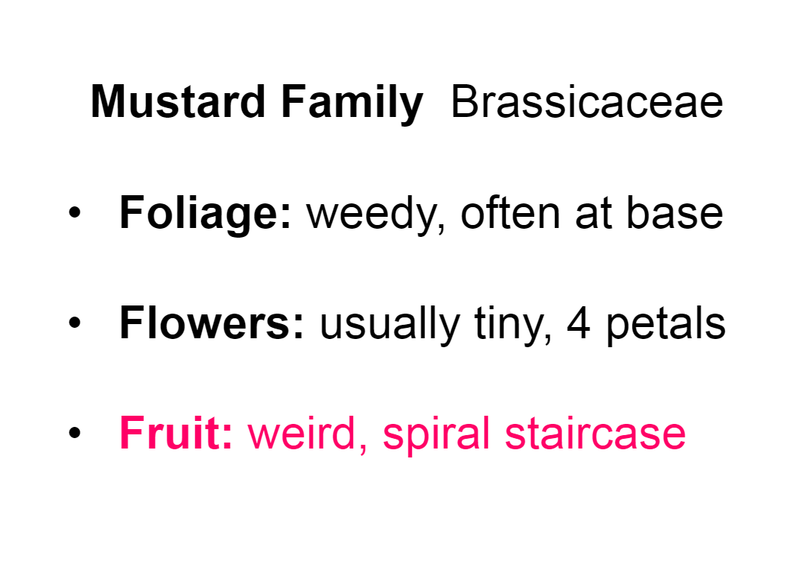 And even the modified ones share the same mustard-family characteristics.